Databases A-Z is an alphabetical and searchable list of Databases that the library owns, or leases, or from which it otherwise has arranged to offer at least some of the accessible content. The contents of many of these databases are discoverable in the library's unified Discovery Service, but others are not. So the library provides the Database A-Z list in part to inform researchers of what they might be missing if they are only searching the Discovery Service. Because the Discovery Service indexes so many resources, its search features tend to be the lowest common denominator compared to what a single specialized database might offer, and the sheer size of search results in the Discovery Service can be overwhelming. 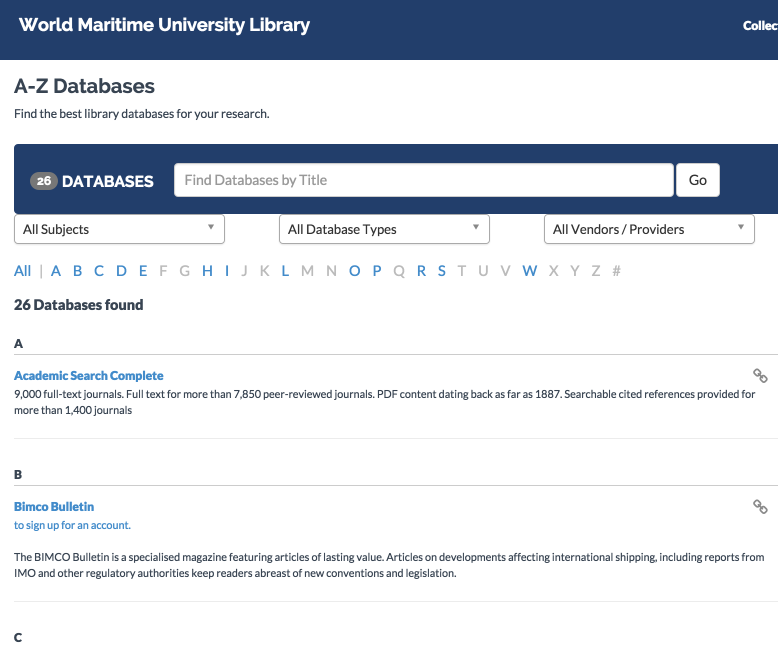 Users doing broad topical research will find the Discovery Service an excellent tool for getting started, but the A-Z list helps library patrons find individual databases with more narrow subject coverage in order to perform more focused research.